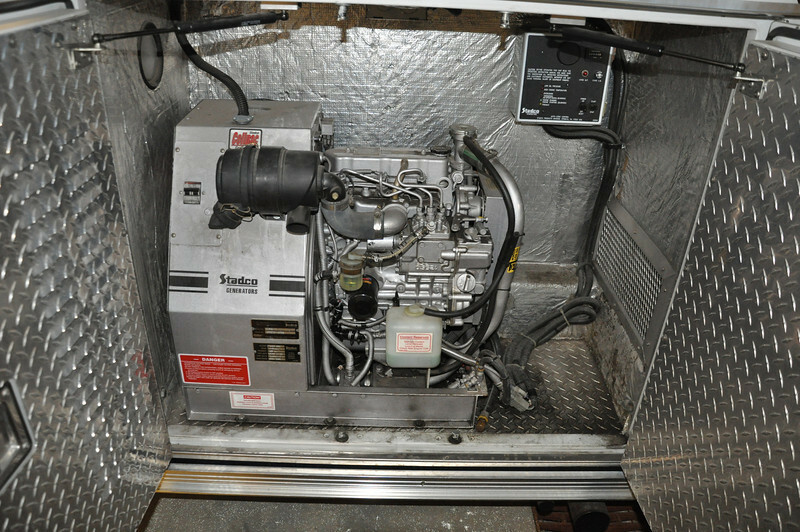 The generator is diesel and runs off the main fuel tank. It powers all of the equipment inside the vehicle as well as exterior receptacles for additional lighting or equipment we use on the outside. The only issue we have had is that it overheats in hot weather.